Dave’s Killer Bread Sponsors Day of Deliveries, Donates Loaves to Clients! Dave’s Killer Bread sponsored a day of grocery delivery costs for over 120 homebound seniors and adults with disabilities on May 23rd through a Support-A-Day partnership with Store to Door. 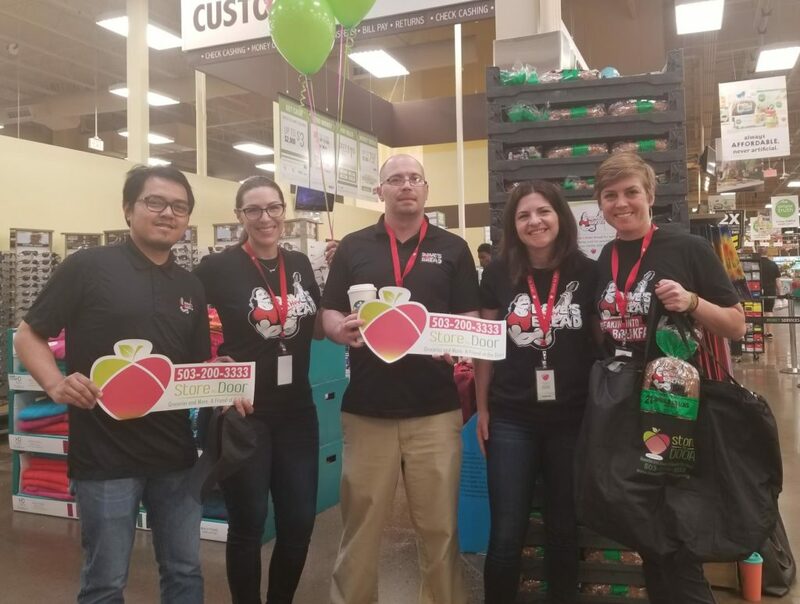 Employees of Dave’s Killer Bread celebrated the day by volunteering to grocery shop for Store to Door clients, along with 30-40 other Portland-area volunteers. 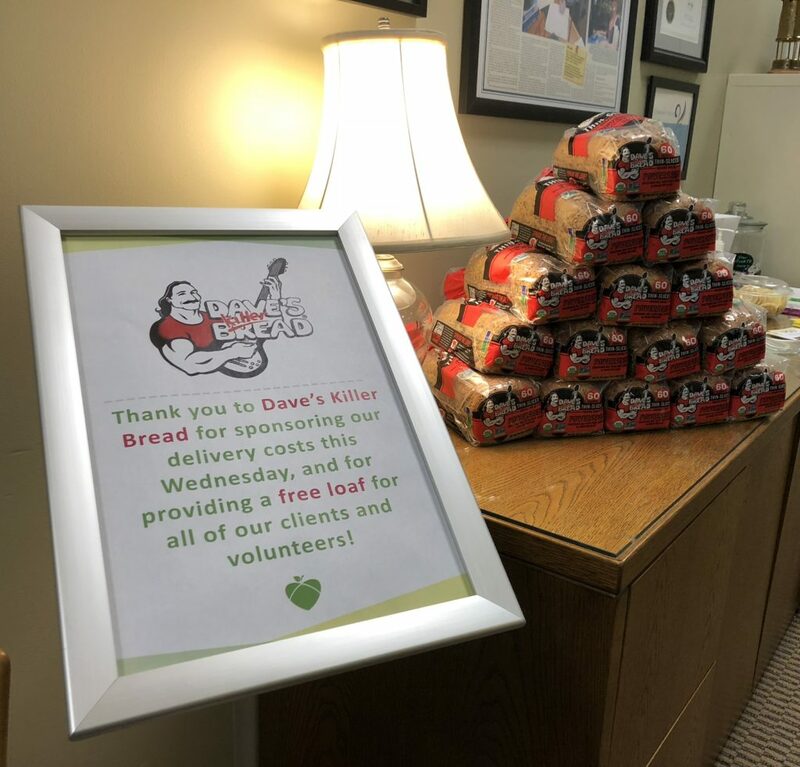 Dave’s Killer Bread also provided loaves of bread for all 150+ of Store to Door’s Clients and Volunteers on May 23rd, at both Hollywood and Beaverton Town Square Fred Meyer locations, as well as at the main Store to Door office in Multnomah Village. Other companies who have committed to sponsor a day or week of grocery deliveries this year include AWS Elemental, Advantis Credit Union, Wells Fargo, Daimler Trucks North America, and First Tech Federal Credit Union. Store to Door’s program is made possible by a close partnership with Fred Meyer. Thank you to Dave’s Killer Bread for their outstanding support!